Anyway, each of the challengers has to conform to some rules, the most important being that the challenge goes from December the 20th to March the 20th, and that, not a single figure that we intend to reveal during this period and earn points from, should be adorned with colors until then. 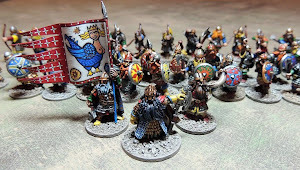 Yet, we were strongly advised to list our objectives, roughly evaluate the amount of points expected, and get the lead trimed and primed, before the sword strikes on the 20th. 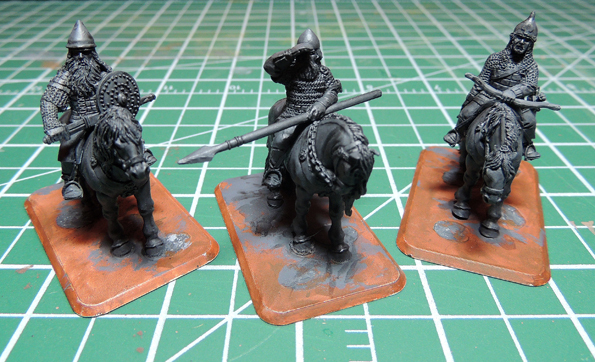 Now, the challenge is essentially about manufacturing painted figures, rather than crafting jewels of painting skills. I believe Curt’s pristine idea was to take advantage of the freezing canadian winter to get done projects that had been sitting around for too long. So, this is going to be a definite challenge against my tendency to procrastination, rather than against the other 46 ronins. Will I turn out to be the tortoise of the story, at the arrival? At least, I have been prompt. Getting the lead pile sorted out for the challenge has been quite an excitement by itself. And, after having cure cuts of knife with stains of basecoat, time has come to give some insights of what is to be expected, here in Nowhere, in 2013. Obviously late... Hurry up Canada Post! All in all, this is 860 pts of lead that I have under the elbow. To tell the truth, I'll be more than pleased, if I achieve to paint half of this. Wait! Could this shiny parcel, that Santa has just delivered in advance, seal my destiny? 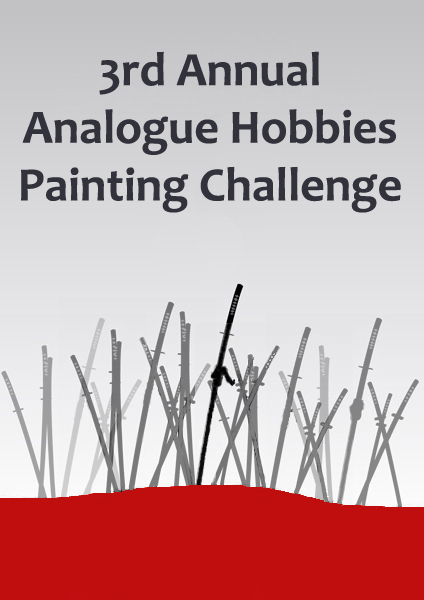 Good luck in the Challenge, I'm sure you'll get all them figures done in no time, especially with your new Mega Paint Set! Thanks Ray. Not a mega painting weapon, but this will surely help. Thank you James. The we will see if the AP paints have coverage enough for all! Good luck in the challenge! That's quite a goal you've set for yourself, but I'm sure you'll get it done. By the way, those russian riders look great. Might have to check out that manufacturer. 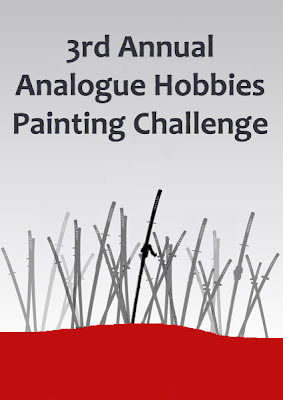 Good luck with the challenge, may your paint always flow and your brushes remain true. ... and my wrist stay firm. Thank you Andrew. 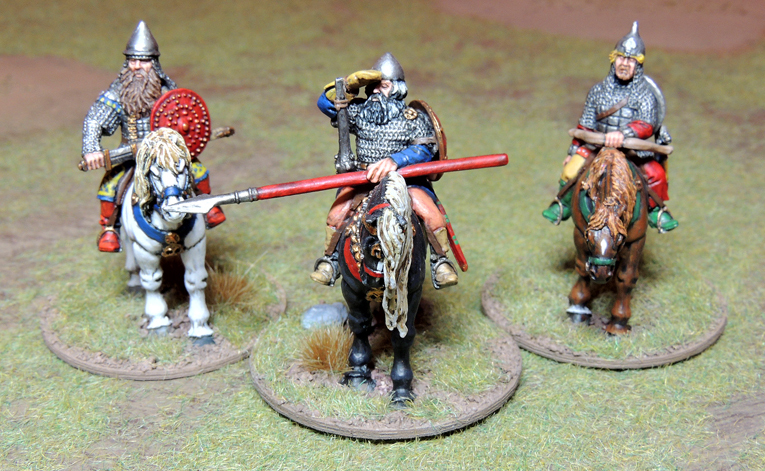 Those three cavalry figures are gorgeous. When I Google the manufacturer, I keep getting PSC links. Could you share info on where I could find them, please? Good luck, Nicolas. It looks like a good task, but I am sure you can do it. I must say that I am extremely envious of the AP paint pack. Nice gift from Pere Nöel. Pere Noël of myself always gets me what I like! 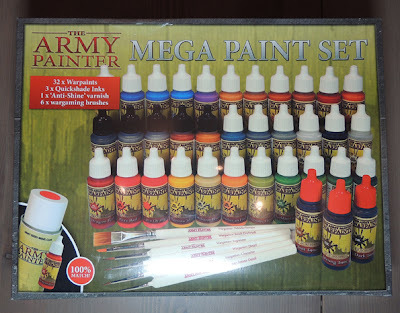 You should check Litko, they have a fairly interesting price for the paint pack. And, you won't have to pay the horrendous shipping fees I had to disburse. Ambitious goal, I like it! An admirable roster you have there Nicco. I look forward to seeing them in glorious MEGA Colour! Best of luck, brother Ronin. I look forward to seeing more of your work here. I have lately become a convert to Army Painter products. I find them more reliable thanbVallejo. Good luck Sir, you are clearly well primed and ready for the off!